I’ve greatly enjoyed the opportunity over the past 4 weeks to re-acquaint myself with Ireland as an incentive destination. A combination of familiarisation trips and live programmes brought me, in quick succession, to two of Ireland’s premier locations for corporate meetings and incentives, the Shannon area renowned for its castles and manor houses and Killarney, famous for its stunning scenery. 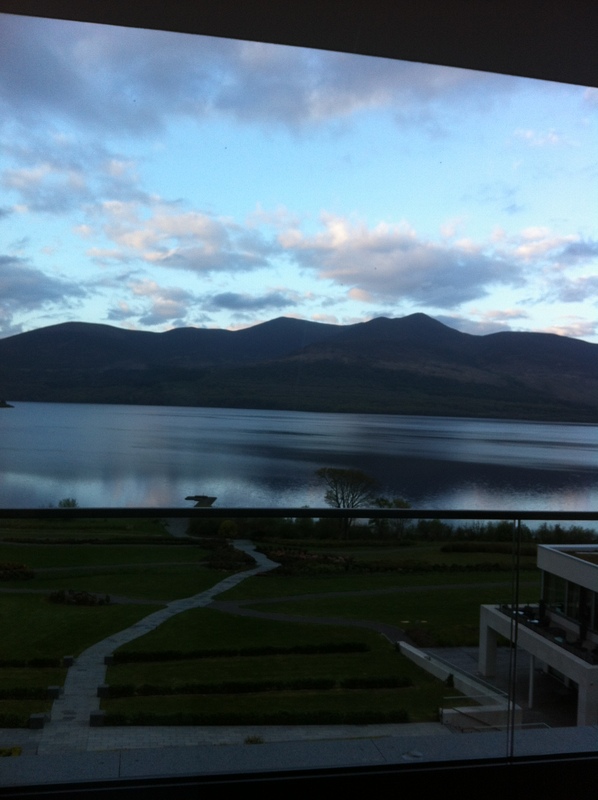 Ovation Ireland, was co-hosting with Marie McKown of Tourism Ireland, a group of experienced US meetings and incentive planners and I had the opportunity to join for dinner at one of my favourite hotels in Ireland, the Killarney Park Hotel. Executive Chef Odran Lucey, a local who spent years training around the world in top kitchens has quietly emerged as a real star and presented a stunning tasting plate of fish/seafood starters and meat/game main courses with all ingredients locally sourced and produced. The lamb dish – Roast Loin of Kerry Lamb, Pearl Barley Risotto, Annascaul Black Pudding, Mint Pesto & Smoked Aubergine – was a thrilling interplay of flavours and textures as befits a world class chef. This wonderful dinner was made all the more memorable by the scintillating sparks of high energy conversation, animated story-telling and, at times, raucous laughter. Yes, indeed, when people come together magic does happen – and this is the magic of motivation that all incentive planners seek in the perfect reward experience. Thanks to the Treacy family and to Niamh O’Shea for a truly enchanted evening! I over-nighted at the Europe Resort and Spa, my first actual stay there since the root and branch refurbishment of the property that has been taking place over the past number of years. What an astonishing transformation! With the completion of works on the dining room, the final remnants of the old Europe Hotel have now disappeared and the new Europe has risen triumphantly, like a phoenix from its ashes (steady with the analogies, Padraic!). We’ve gone from over-sized alpine ski lodge to uber-contemporary lakeshore resort, from lederhosen and yodelling to Boss suits and Zero 7. Retaining its privileged panoramas over the lake and surrounding mountains, the Europe Resort & Spa offers a world class guest experience with spacious balcony-clad sleeping rooms, multiple food and beverage outlets, extensive conference and meetings space and a spa facility the size of Liechtenstein. 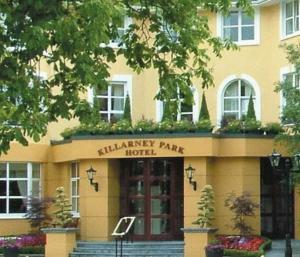 With just under 200 rooms, the Europe Resort and Spa can host mid to large scale meetings and incentives in a setting at once uniquely Irish and uncompromisingly luxurious. Thanks to extensive infrastructural developments over the past decade Dromoland is better connected than ever with Shannon airport, Limerick city and the scenic and recreational appeal of the Clare Coast. The road transfer from Dublin is significantly shorter too facilitating Dromoland’s pairing with Westin, Shelbourne, Four Seasons Dublin or even Ritz Carlton Powerscourt for a two centre motivational experience. 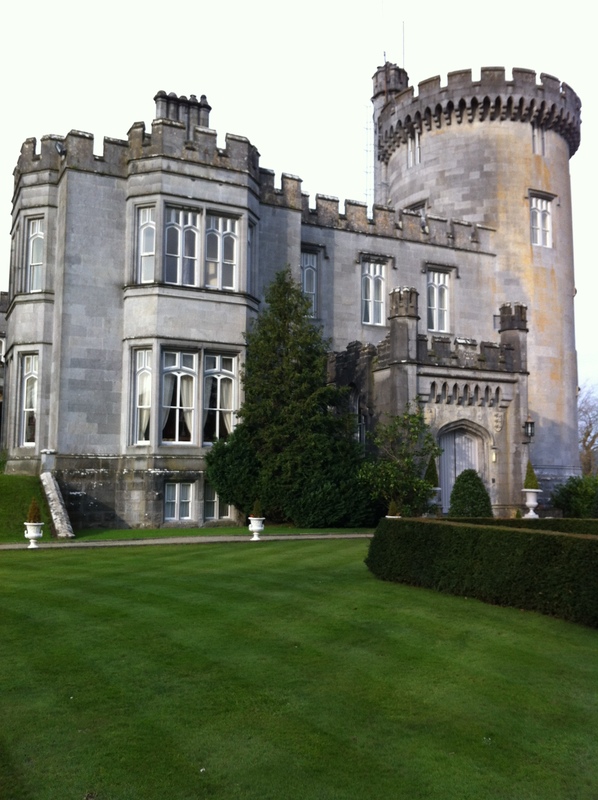 Dromoland Castle combines period panache with contemporary comfort and juxtaposes stately formality with friendly familiarity – dining with white gloves and cloches at the Earl of Thomand Restaurant inevitably yields to sing-alongs with ties off at the adjacent cocktail bar. That’s how our night ended, anyway, with all guests joining our merry band for memorable renditions of “American Pie”, “On the Boardwalk” and “I will survive”. And that’s how last night ended too but at another Shannon property, the Fairytalesque Adare Manor, located on the Kerry side of the majestic Shannon river. 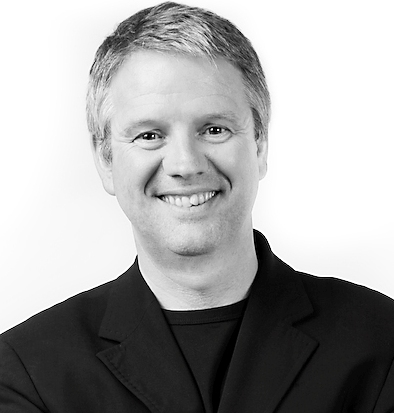 I visited Adare to pay my respects and gratitude to an old friend of Ovation, Richard Lowy of Branded Experiences, with whom Ovation Ireland and MCI Dublin were collaborating on the destination management and creative production of a 5 night event for one of his Financial clients. 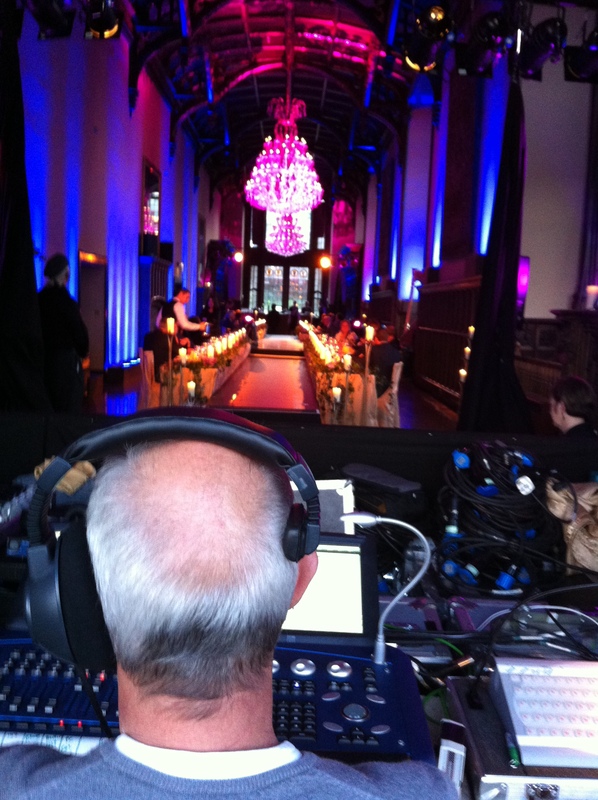 The longish grey hair, pony tail and cap worn backwards all re-enforce Richard’s creative pedigree and Adare Manor provided the perfect canvas for such as Richard to paint a masterpiece. Last night’s Gala was breath-taking from start to end. The 132ft Minstrels’ Gallery was configured with two specially customised narrow catwalks leading to a central circular riser with place settings butted right up on either side of the catwalks. This afforded all guests a perfect view of the evening’s entertainment while still facilitating cross table conversation. Sumptuous table linens and chair covers in browns and beiges were off-set by long garlands of greenery punctuated by large ivory Church candles. Discreet yet extensive LED lighting, designed and overseen by Kevin Saunders (pictured left! ), provided multiple mood settings throughout the evening and played upon the magnificent period features of the room – the gigantic chandeliers, the carved wainscoting, the majestic marble fireplaces. It was a truly enchanting evening made indelible by the heart stomping routines of contemporary dance troupe, Damhsa, and the haunting tones of tenor Simon Morgan and the sublime KeyNotes. And festivities continued after dinner down in The Tack Room where Richard and Pádraic became John and Paul, Don and Phil, Paul and Art, Kermit and Miss Piggy reaching back into their extensive repertoires to entertain a very wide church of revellers with everything from Elvis to Jason Mraz (nice one, Richard!) There were many magical moments but for me it was an amazingly uninhibited version of “Mustang Sally” by one of Richard’s executives. Still dressed formally following dinner he just let rip and ignited the entire Tack Room as, with one voice, they did the call and response at the tops of their voices – “Ride, Sally, Ride”. When I reflect on my journey back to places that played such a formidable role in my own apprenticeship in the meetings and events industry I’m struck by the places themselves, their history, heritage, architectural and aesthetic appeal etc. However, I’m even more struck by the people and by the fact that at all four properties I found people whose commitment to this industry extends back 20 years and more. 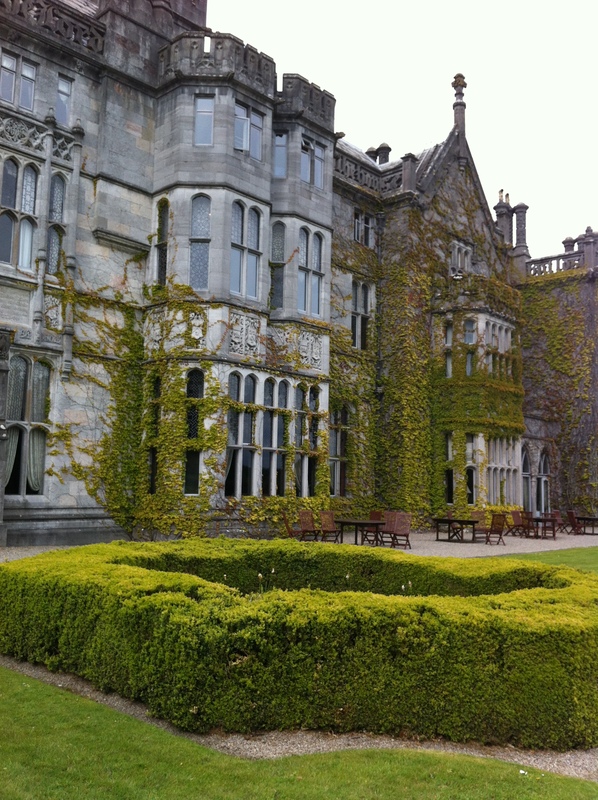 This was most typified for me when I entered the majestic front hall at Adare Manor. I looked around momentarily and suddenly Head Concierge Roger was greeting me and escorting me to the top of the house to room 408 with its incredible bathroom. We chatted easily and caught up with each others’ family. When he said to me casually yet meaningfully “Will you have a cup of tea?” I realised there and then what’s special, unique and unrepeatable about an Incentive experience in Ireland. It’s all about coming home.